What exactly is m-learning and what are some other advantages of using this technology? When Apple released the first iPhone back in 2007, few people understood just how significant this technological advancement would be. Before then, the only truly mobile devices were cell phones, which were primarily used for texting and making telephone calls. In 2007, however, Apple helped propel consumers into an entirely new mobile computing world. People now take their personal computing devices, such as smartphones, tablets, and smartwatches wherever they go. Even more, these devices have largely replaced many of the portable laptop computers. With this advancement in small and easy to carry devices, entire mobile-based businesses are emerging. Apps and games flood the market and try to gain the attention of mobile users. Historically, entertainment and social media have primarily monopolised the mobile platform. Over the past several years, however, innovators are increasingly demanded to develop some interesting technologies for adaptive learning within the mobile platform. The benefits of learning new materials or concepts on a mobile device, or mobile learning, continue to increase. Mobile resources like Khan Academy and Lynda provide students with online lectures and instructional videos directly to a mobile device. And with the ability to study materials wherever one goes, a mobile learner is able to study 40 more minutes each week than a stationary learner. In addition, a mobile learner can complete course materials 45 per cent faster than a learner using a computer. 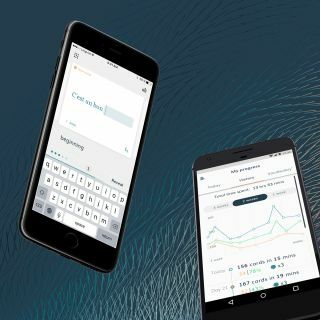 Applications like Lumosity are also offering learners on-the-go brain exercises” and games to improve memory, increase retention, and enhance focus. These are just a few of the many mobile learning benefits. But what exactly is m-learning and what are some other advantages of using this technology? Mobile learning consists of a variety of mobile educational experiences and methodologies that would otherwise not be possible in a traditional setting. Allowing students to access classroom material from their mobile phones or access third-party applications, like Goodreads for instance, are some examples of this methodology at work. Using a laptop or desktop computer with a WiFi connection is no longer the only way to access content online. With the advancement of broadband cellular network technology, mobile phones can stream high-quality videos directly to their mobile devices. The most important aspects of mobile learning are anywhere access to content and a self-directed pace for instruction. Within these platforms, learners are able to access content anywhere and whenever they want, instead of being restricted by location, hardware, and timeframe. There are three primary forms within the mobile learning framework: individual, peer-to-peer, and group sharing. Individual mobile learning includes those activities that do not require interaction with any other student or teacher. This consists of audiobooks, learning apps like Duolingo for languages and Grasshopper for coding, and any other solitary activity. Peer-to-peer is the form of mobile learning that utilises the insights from and knowledge of others to enhance the learning experience. Websites like Udemy, which offer university style courses for virtually any topic, allow students to watch lectures and take quizzes at their own pace. They also encourage student-to-student and student-to-professor interaction in chat rooms and forums. Udemy helps students to interact with one another to assist with challenging topics and questions from the course. Group sharing mobile learning is a way for learners to collaborate on projects and materials with a large group of people. As opposed to peer-to-peer learning, where it allows one student to benefit from the knowledge of his or her peers, group sharing mobile learning is the group as a whole collaborating on a project or task as a whole. Applications like Jira and Confluence allow content and tasks to be spread throughout a group and worked on as a group. Much like any other mobile app, developing a mobile learning application can be a challenging task. What’s more, marketing the product effectively can be time-consuming and expensive. Mobile learning applications require a team of highly efficient coders and programmers to turn abstract concepts and insights into a tangible product. The team of programmers must be well versed in a variety of programming languages. They must be able to use HTML5, Java, and Ruby on Rails, amongst other languages, to allow the application to run in web browsers and operating systems like Android and iOS. Some mobile languages are better than others, depending on the platform. Swift, for instance, is a very popular language when developing Apple specific applications, as it can be easily maintained, has advanced features, and does not require a lot of code to develop an application. For many businesses, organising a team of highly trained programmers capable of writing applications in a variety of programming languages can be challenging. It can also be costly. Outsourcing mobile application development to a team of nearshore or offshore companies is one solution that many companies are considering. Outsourcing firms are highly efficient, cost-effective, and have a wide range of skills to offer to their clients. They can assist in the development of future mobile learning applications, assist in the deployment of those applications, and provide secure code monitoring and application upkeep. Businesses are tapping into the power of mobile computing and developing a variety of useful and entertaining mobile applications. Mobile learning certainly has an exciting future as businesses begin incorporating them more and more into their offerings. Mobile learning applications help people share information and grow together more easily and effectively. Sharing new information and insights is a core element of m-learning and an exciting prospect for current and future m-learning businesses. In the coming years, we will begin seeing businesses utilise m-learning in their day-to-day activities. Mobile coaching, for instance, will increase in popularity. Mobile coaching apps can allow employees to speak face-to-face with their coach about presentation topics before an important meeting, practice and rehearse a speech they may give, or virtually any other professional activity that requires feedback. Interactive video learning will also continue to develop. With a higher degree of engagement and feedback, interactive video learning will become highly valuable to businesses.